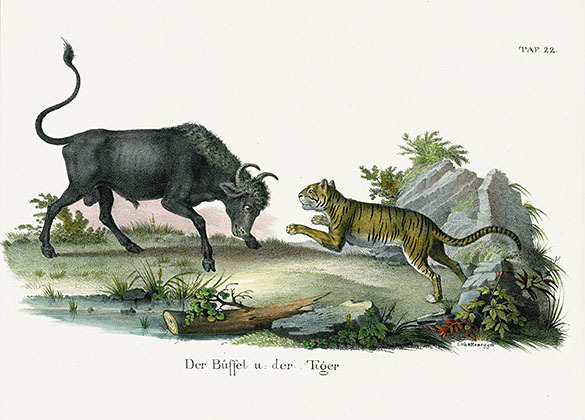 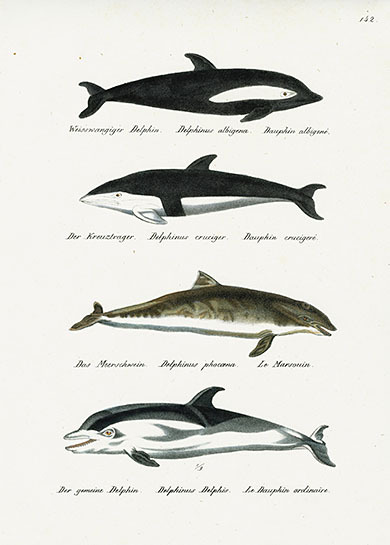 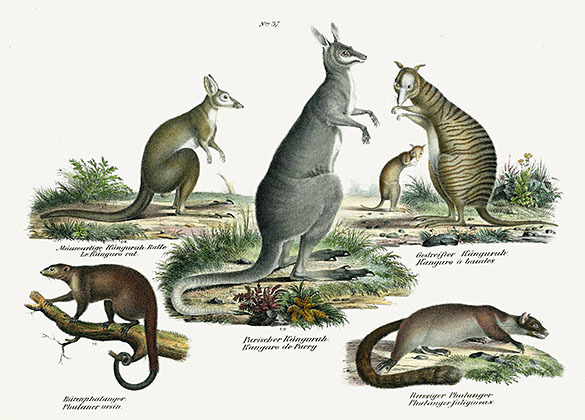 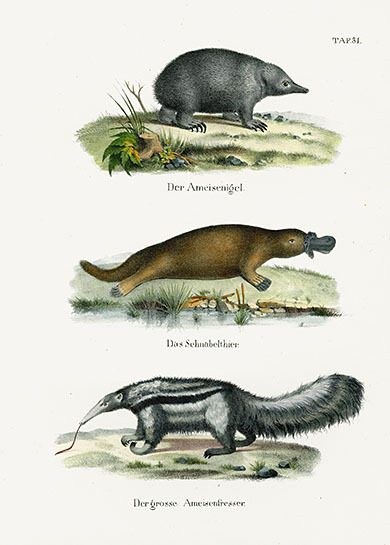 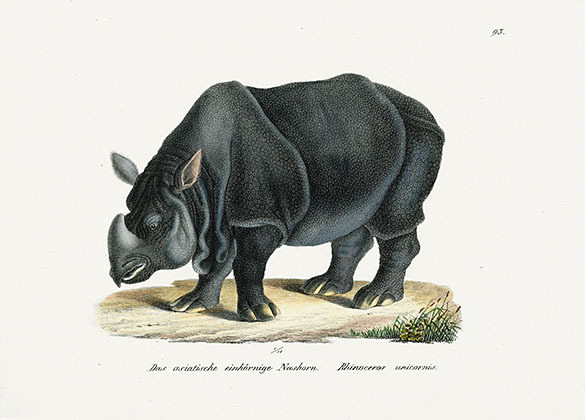 We are very pleased to offer these original fine lithographs of mammals from Heinrich R Schinz, "Naturgeschichte Abbildungen der Sæugethiere," 1827. 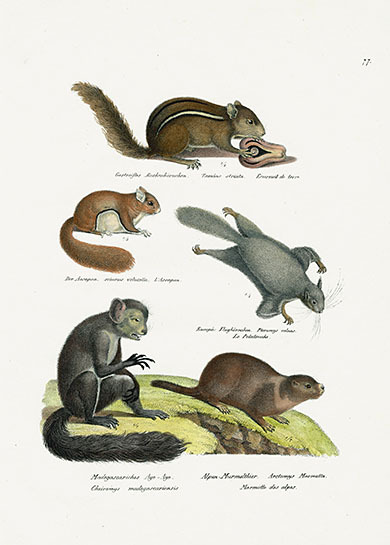 This work on mammals was part of a series of volumes issued covering all aspects of natural history, including birds, fish, reptiles and mammals. 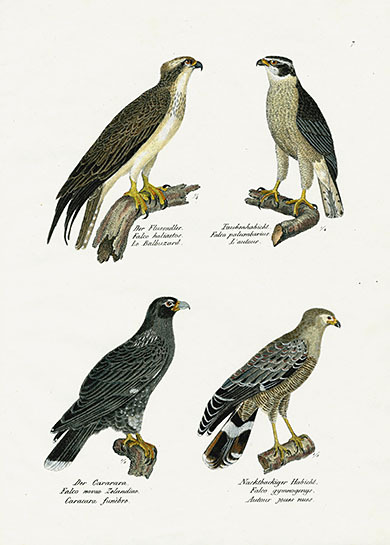 The plates are lithographed by Carl Joseph Brodtmann (1787-1862) one of the most accomplished Swiss lithographers of the day. 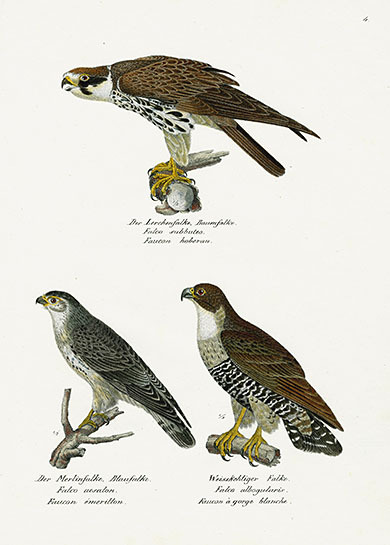 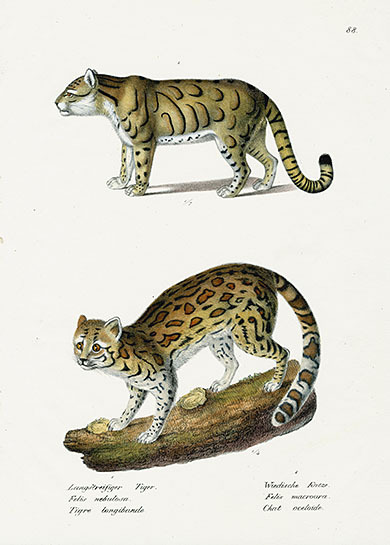 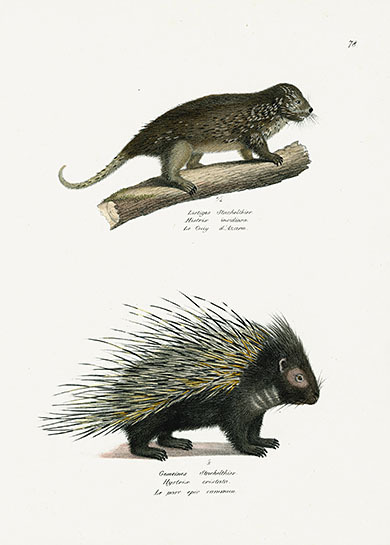 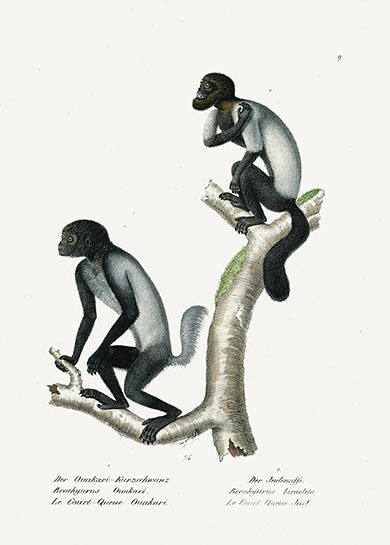 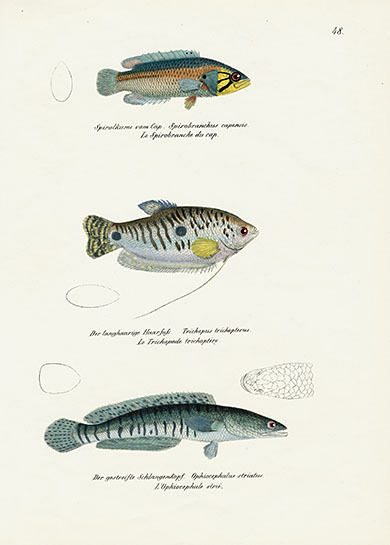 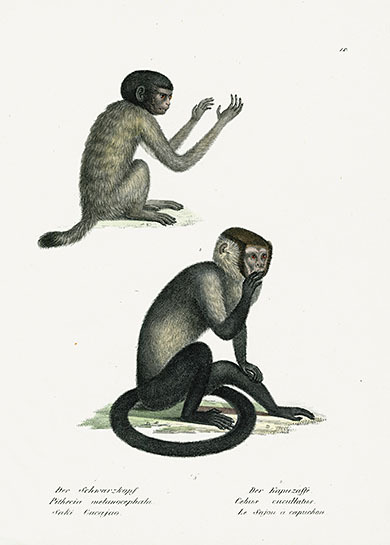 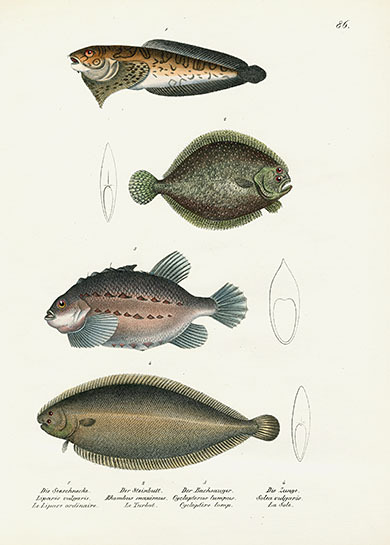 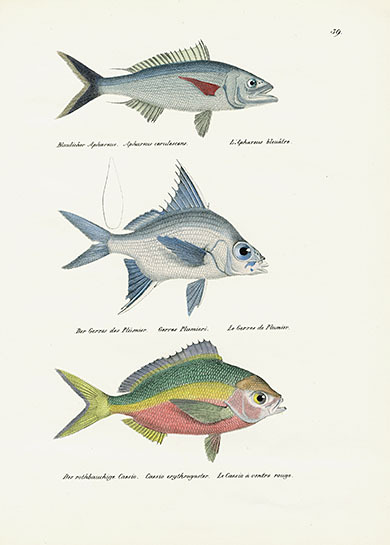 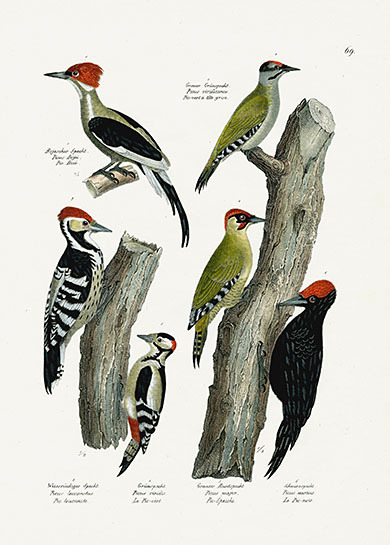 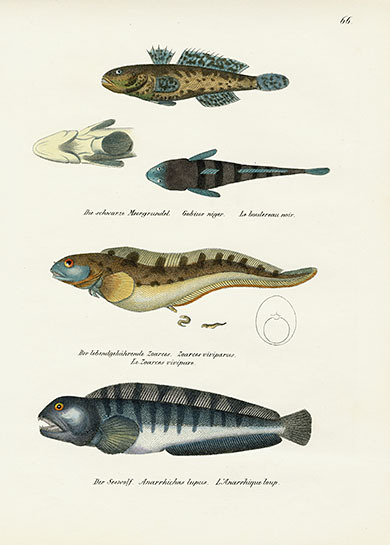 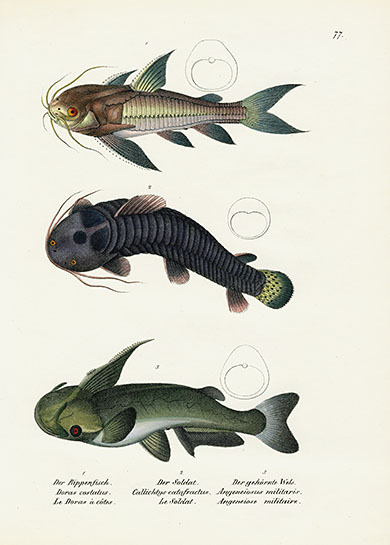 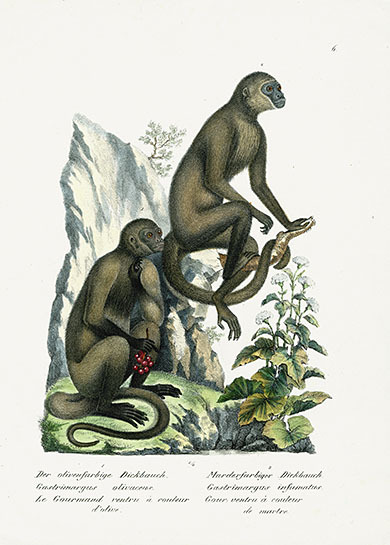 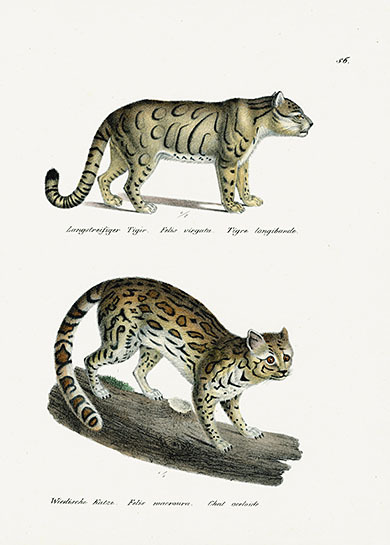 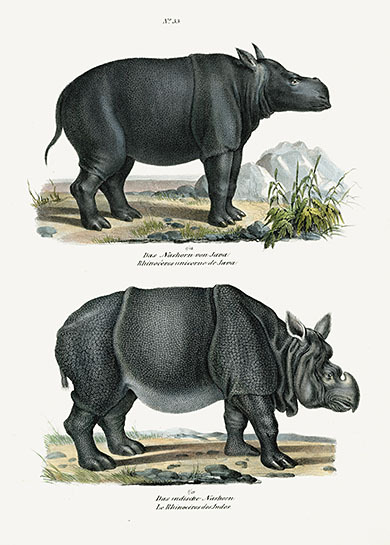 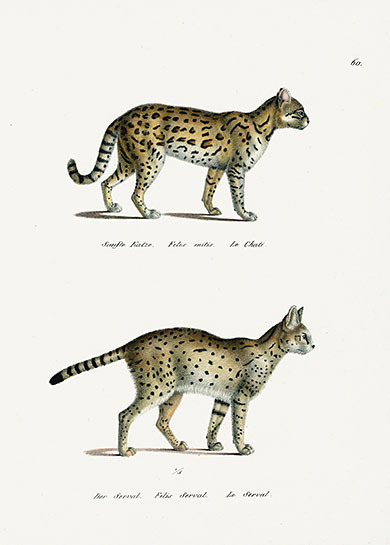 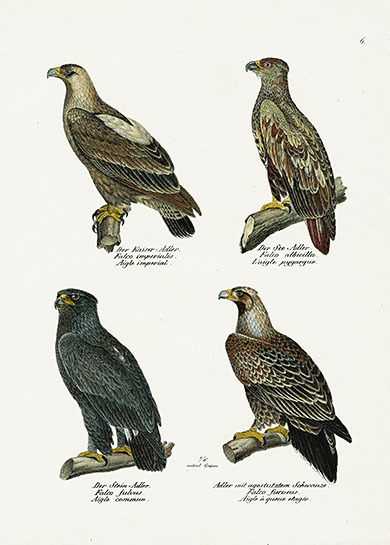 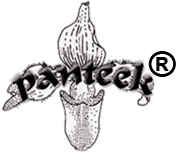 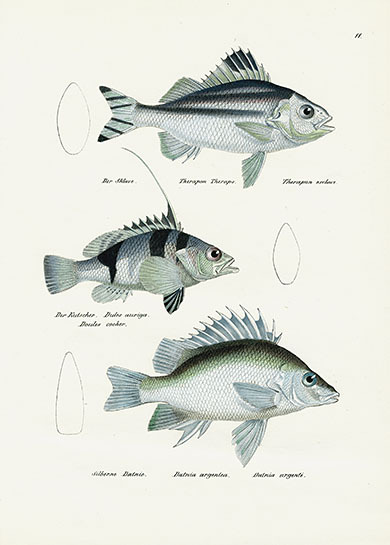 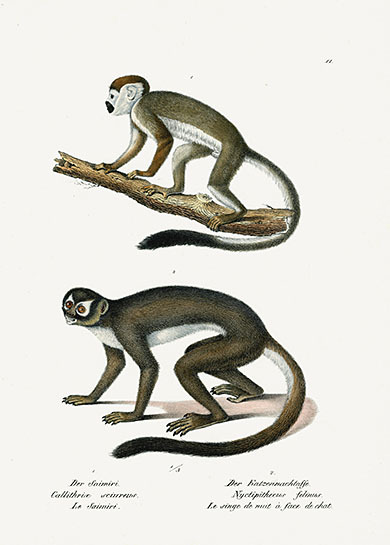 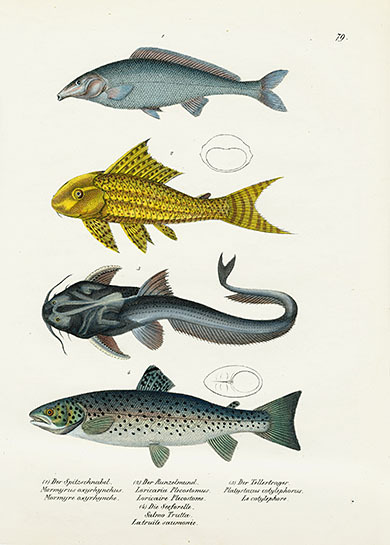 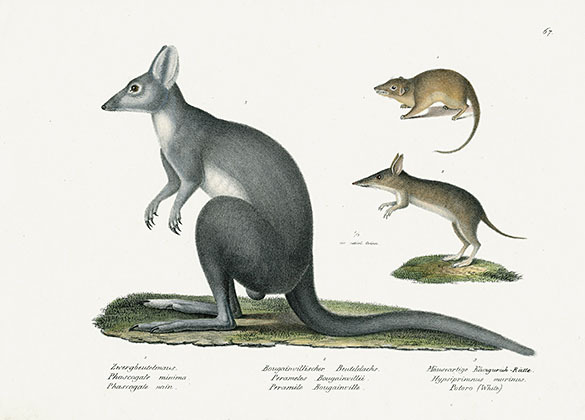 The prints are ORIGINAL lithographs from 1827 that have been carefully hand colored by one of the few remaining professional colorists in England following descriptions & images of the species illustrated. 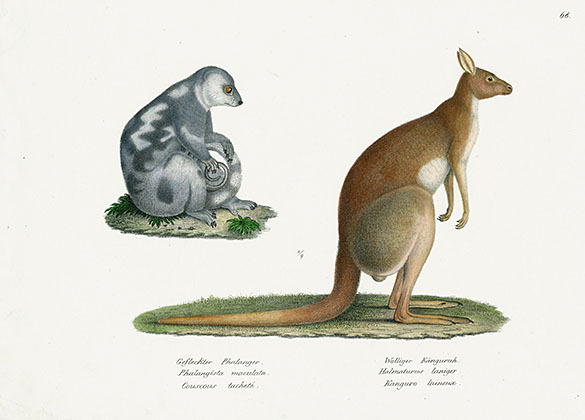 The coloring is absolutely stunning, and the prints are some of the most beautiful of all the folio plates of mammals from this time. 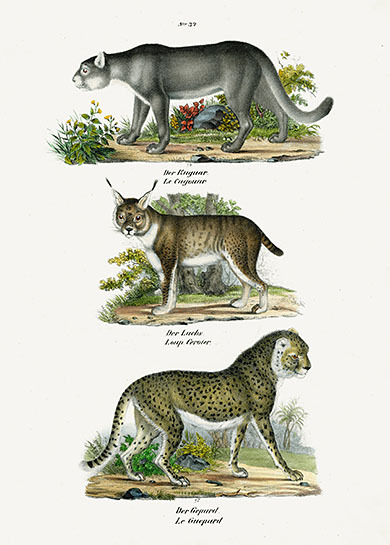 Each print measures approximately 13 inches by 9 ½ inches. 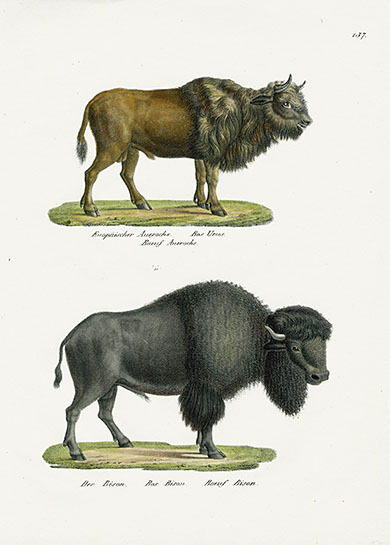 The condition of the plates is excellent, with the paper being a fine, heavy stock & very white. 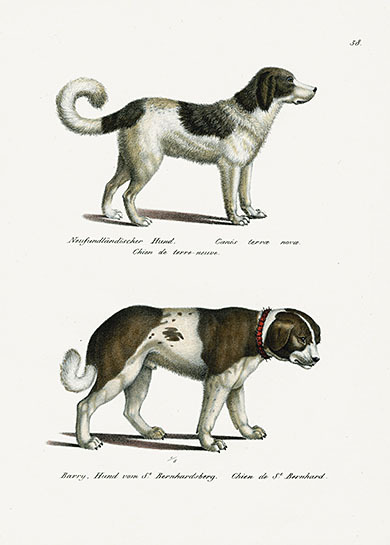 There are no fox marks or other blemishes. 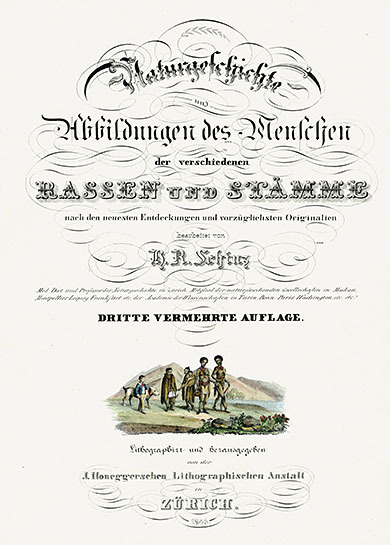 A copy of the title page will be included with each print.